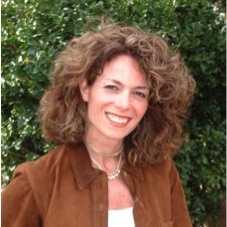 A 30-year veteran of the spa and hospitality industries, Amy McDonald is widely recognized and sought after as an innovator in preventive health and wellness programming and an expert in merging the best of resort hospitality and urban healthcare into integrated, profitable business models. After years of managing several award-winning properties, including the renowned Miraval destination spa in Tucson, Arizona, Amy followed her passion to create her own company, Under a Tree Consulting. Over the past 9 years, Amy has lead her team through concept development and execution bringing a greater focus on wellness and bottom line results to global brands such as Four Seasons Hotels and Resorts, Starwood Capital Group, Cirque du Soleil and US brands such ZaZa and Enchantment Group. Amy works with medical facilities to bring integrative functional design, product development Amy and specialized programming to executive health clinics, including INLIV, Peking Union Lawke Functional Medicine, Well & Being, and the California Health and Longevity Institute.